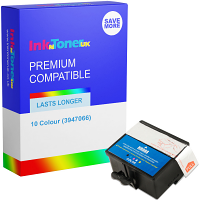 Kodak ESP 3 Ink Cartridges At InkNTonerUK we understand that the oh so frequent necessity in purchasing the NEW Kodak ESP 3 ink cartridges that you require to keep your ESP 3 printer operative can be a pain, and a worry as the costs can often appear to be of 'extortionate' prices!... Don't despair as InkNTonerUK are here to help! 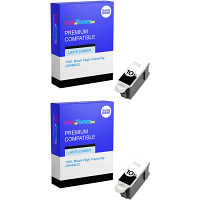 The high-quality you can expect from your Kodak ESP 3 ink cartridges does NOT get impaired in any way, just GREAT products at affordable prices. How often do you make function of your Kodak ESP 3 printer? Whether printing is a resource you make use of on a regular basis, say every day 50 times a day, or once or twice a month, we will have just the product that suits your printing needs. If you're a once-in-a-while printer, then our standard-capacity Kodak ESP 3 10 black ink cartridge is the ideal product for you, being vended at our LOWEST price, yet still delivering a beneficial '453 pages' per unit you purchase. 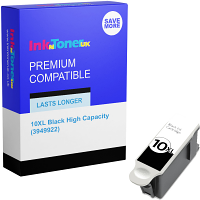 However, if you print more often, then there is a high-capacity Kodak ESP 3 10 black ink cartridge available for purchase as well, being sold at a slightly more costly fee but will deliver around '770 pages' per unit! To save money on the costs in purchasing both mono and colour, we also have an advantageous 'twin-pack' on offer, making the frequent use and maintenance of the Kodak ESP 3 printer of ease and simplicity! 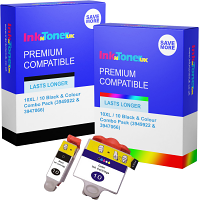 InkNTonerUK have a set of eminently high-standards in which we aspire in awarding each and every individual customer with, and won't settle for less...This is how we can assure you that ANY cartridge, in this case your NEW Kodak ESP 3 ink cartridges will be of nothing less than TOP-QUALITY, LONG-LASTING and best of all LOW-COSTING...It only makes sense for you to get yours today. Select the appropriate purchase preference that best meets your requirements, and before you know it, your NEW cost-effective and first-rate quality Kodak ESP 3 ink cartridges are on course, and in your printer!